Votes were being cast right up until closing time last night. 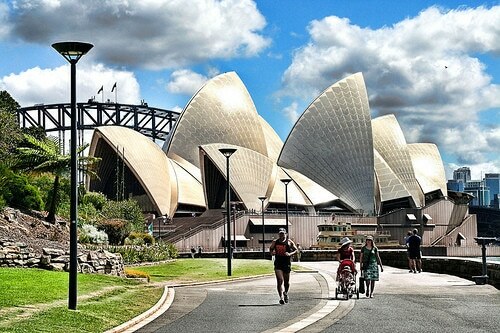 Cuckoo’s nominated Sydney, Australia won by a single vote at the last minute. It was a great ending to the contest, which went into overtime with Negril, Jamaica due to a tie last week. Cuckoo has won $50 for winning the contest, which has been great fun over the last month. You can see the final brackets and poll below. 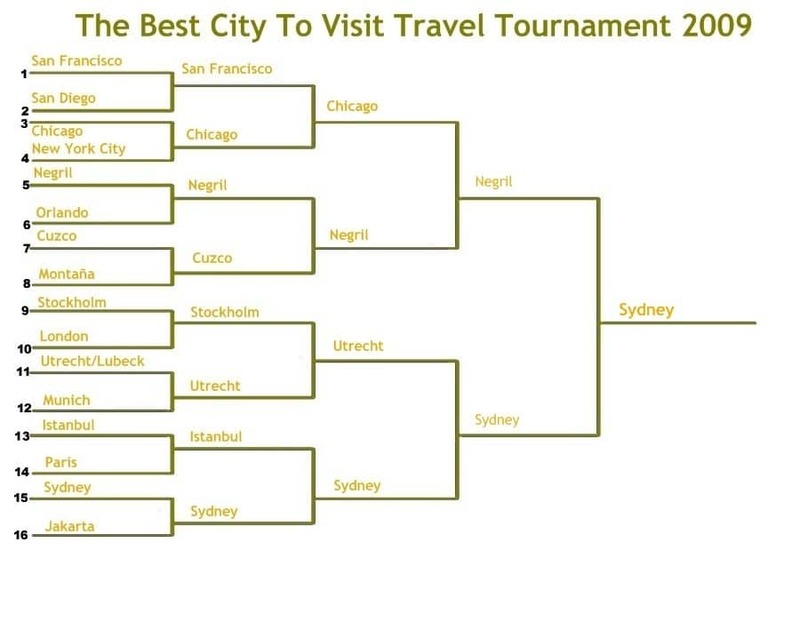 Daryl who nominated Negril really made the brackets exciting as did all of you who submitted a city. I appreciate it and hope you’ll look forward to the next contest in March. The best way to keep up on upcoming contests is to sign up to my RSS feed or subscribe to email updates below. Thank you very much for organizing these fun contests and letting us all enjoy. Also, I would like to thank every person who has voted for Sydney. The margin of win was the minimum we could have. It was indeed very interesting. Through this contest I came to know of some places which I had never heard of and well, Negril was one of them ! And to come so close to winning is an achievement in itself. I congratulate Daryl for nominating it. Looking forward more such contests. Cool idea, shame I only saw it now. Will look out for the 2010 contest and subscribe to the blog so I can get involved. I’ve actually got another contest coming up in August. I’ll be announcing it over the next few weeks. I will also subscribe to your blog so I can join. Great idea you have here for our city.